Kenya has varied landscapes that provide an array of adrenaline-inducing activities for a lifetime of memories. Whether you want to try ziplining or skydiving, the East-African country showcases unrivalled thrills and spills for adventure junkies. If you are ready for an adventure, here are the best spots to hit in Kenya. Situated in the heart of the Aberdare Ranges, in the Kereita forest, about an hour away from Nairobi CBD, this is an adventure junkie’s playground. 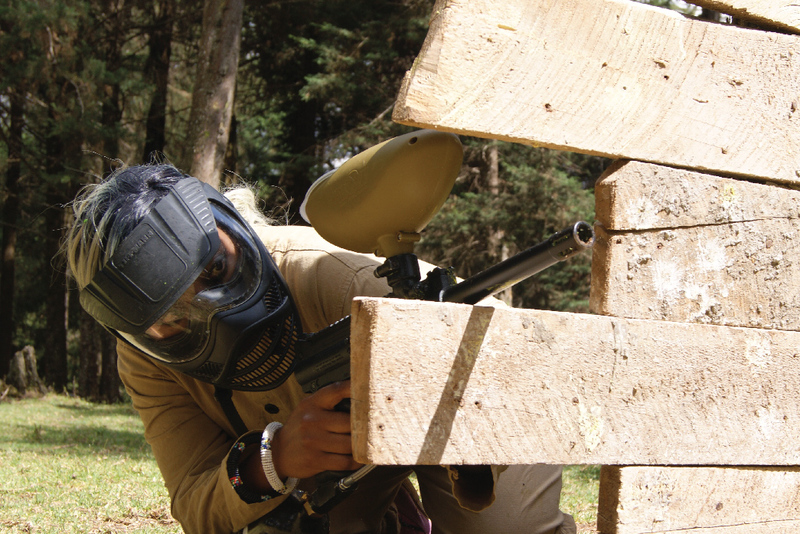 It’s a safe and friendly environment for you to take on a wide range of exciting activities. At The Forest, you can go for ziplining – which is now a favourite adventure. You can also work on your Archery skills or indulge in mountain biking and nature walks. There is also camping for the campers, horse riding, paintballing and fly fishing so you are spoilt for choice! Located quite close to Nairobi CBD, Karura Forest is a safe, secure and serene forest with exciting activities that would delight any adventurer. It’s best for lightweight activities on the weekend with friends or even alone. You can go bird watching, horse riding and even dog-walking for those that have pet dogs. You can also indulge in nature walks, and mountain biking, there are trails for the fitness enthusiasts for jogging and for laid-back walks. As the only city in the world with a national park smack right in the middle of it, the Nairobi National Park is a gem amidst all the hustle and bustle of the city. The park features an array of wildlife species such as crocodiles, colourful birds, rhinos, buffalos, zebras, giraffes, hippos, lions, and gazelle among others. A game drive in this park is a fun adventure! If you want a fantastic view of Nairobi city as well as a fantastic view of the Great Rift Valley, atop the Ngong Hills is just the place for you. There are seven hills to climb and the views are magnificent. Hiking the second, third and fourth hills is quite challenging as some areas are quite steep so bring your game face for this one. When Hells Gate National Park The first thing that comes to mind is a road trip! This was one of the locations for the Hollywood hit movie Lara Croft: Tomb Raider starring Angelina Jolie. It is located just beyond Lake Naivasha and you have the freedom of driving, cycling or walking within the park. There are two extinct volcanoes to see, you can also go see the hot springs after hiking in the canyon. The terrain is flat so one can bike beside the stunning nature backdrop while seeing giraffes, warthogs, and zebras among other animals. This one is for those that love the thrill and live for the moments the adrenaline rush kicks in. View the spectacular and world-renowned Maasai Mara and all its glory in a hot air balloon! This is one for the books; some have even mixed romance with the adrenaline and proposed while in the air! Talking about heights, would you welcome the idea of jumping off a plane mid-air several feet above sea level? Well if you’re an adrenaline junkie then the most probable answer is yes. And so Diani says yes to you too as you can do a solo if you’re a pro at skydiving or do a tandem with a professional skydiver. They also offer classes from professional instructors. The Roaring Rocks in Tsavo National Park West provide for an unbeatable allure to an avid rock climber and even a regular adventurer. There are magnificent views at the top besides that beast feeling you get when you conquer the rocks. This is a good way to test your strength, agility, and endurance in the climbing game. This is a rather obscure but nonetheless interesting way for an adventurer to go on safari. The Kenyan Northern frontier is a little less explored and one can follow exciting game trails using ATV bikes. If you love adventure, you should go on a quad bike safari in Kenya! Make your trip to Kenya count by indulging in at least one or more of these thrill-seeking adventures!